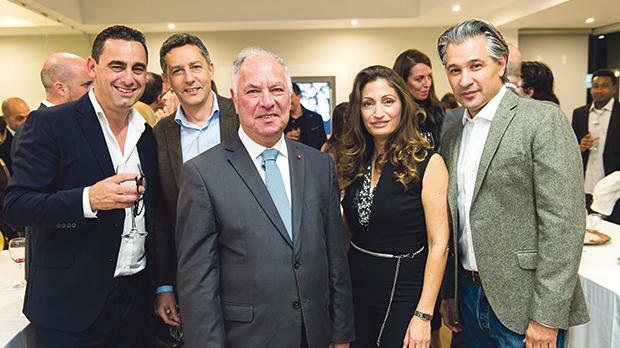 Mellieħa mayor John Francis Buttigieg (centre) flanked by (from left) Belair Property directors Jean-Pierre Camilleri, Ian Casolani, Victoria Spiteri and Gilberto Arredondo at the inauguration celebration. Belair Property recently announc­ed the opening of a new office in Triq Sant’ Anna, Mellieħa, to better cater for the island’s northern region. The office and new team are led by director Victoria Spiteri, in partnership with director-partners Jean-Pierre Camilleri and Gilberto Arredondo. The inaugural party was attended a large number of customers, developers, bank representatives, the Belair team and local council officials. During her speech for the occasion Mrs Spiteri said: “For over 40 years Belair Property has re­mained a leader in the property sector by differentiating itself with a reputation for providing its network, whether customers or suppliers, an exceptional experience. “I admire what the Belair leadership has built over the years and I couldn’t be more enthusiastic about being a partner participating in the growth of this organisation that for decades has focused on nurturing relationships with what is really a family rather than a team. “The expansion is something new for Belair Property and continues to build on an already established business, ensuring that Belair Property remains on the forefront of Malta’s real estate agency sector.